If you’re one of the millions of people watching AMERICA’S GOT TALENT (and let’s face it, you don’t get to be the number one TV program by not having millions of people watching), then you’ll know that AGT is a little lame compared to it’s older sibling BRITAIN’S GOT TALENT. BGT has given us Susan Boyle, among other talented artists. Overall, BGT is just more… fun… than what we get here in the States. So here’s a little video fun from a former BGT contestant BRETT DOMINO. Sometimes he performs as a duo, sometimes as a trio. 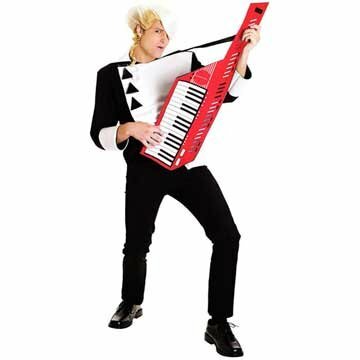 The important thing is that he owns a keytar and isn’t afraid to use it. And the one that started it all, Britain’s Got Talent. This WEB WATCH entry was posted in Funny, Music, TV, Video and tagged Music, TV, Video on July 29, 2011 by web gangsta.